Home News & Politics How Hard Is It Exactly to Deploy a Nerve Agent? How Hard Is It Exactly to Deploy a Nerve Agent? “The raw materials themselves are inexpensive and generally not hard to obtain, but the lethality of the agents means they tend to be manufactured in dedicated labs. The main five nerve agents are Tabun, which is also known as GA and is the easiest to make, Sarin, Soman, GF and VX,” Sample writes. “VX was invented in the UK in the 1950s, and is the most powerful nerve agent. It is mostly absorbed through the skin, and tends to take effect in the space of minutes. It can also be turned into a vapor by heating it, in which case the effects are almost immediate.” Why Britain finds itself in the crosshairs. The apparent attack on Skripal is hardly the first in Britain. Economics is likely one reason why the country has found itself a consistent target, but the audacity of this latest alleged attack might change that, suggests John Schindler in The Observer. 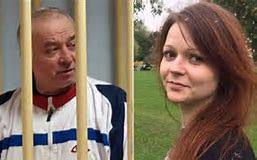 “[T]he British government has been relatively timid about making a fuss regarding the murders of Russians on its soil. Although British police and intelligence have pushed for a stronger response by London, that has not been forthcoming. The difficult reality is that enormous Russian investments in British firms and real estate have translated into political influence, and no British government has been eager to rock the boat over a few mysterious murders,” Schindler says.